Hanna divides her time between BookPeople and LUSH, the “fresh handmade cosmetics” company across the street. 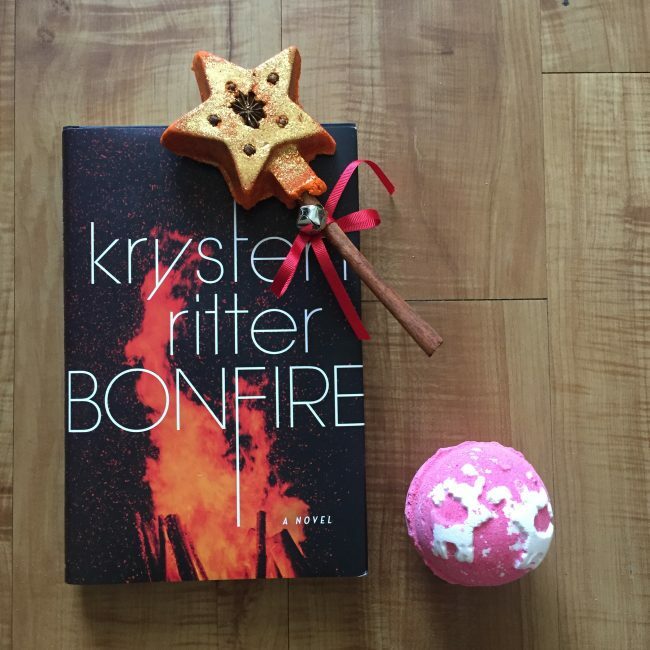 Below, she shares her favorite book and bath bomb pairings, just in time for the holidays! One of my absolute favorite ways to relax is by taking a hot bath and reading a good book. Because I work at both LUSH and BookPeople, I have the luxury of experimenting with the best bath cocktails — LUSH slang for mixing bath bombs, bath oils, and bubble bars — and finding the perfect book to pair with them! If you’re not sure what to get someone this holiday season, a book and bath bomb combo might be just the thing! Here are 5 combos I recommend for an absolutely irresistible reading and bathing experience. 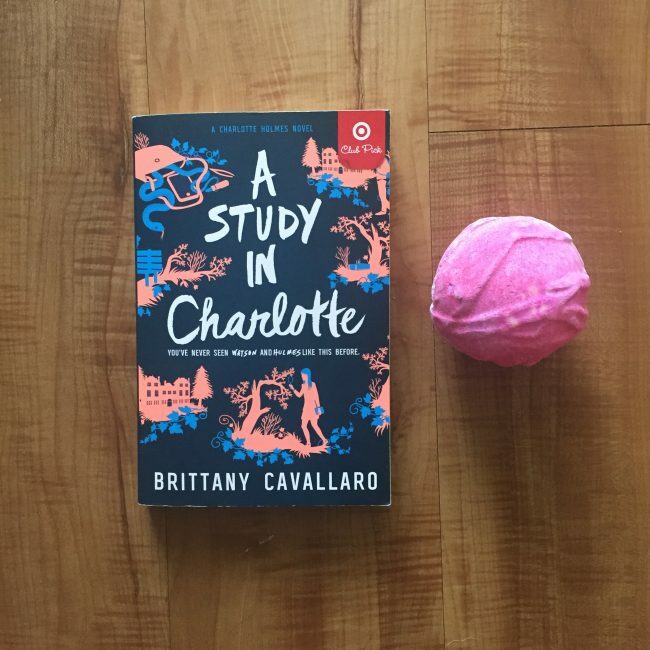 The PINK bath bomb is the perfect bath pairing with A Study in Charlotte! Bathe in silky, shimmery pink that feels as luxurious as it must feel to be a descendant of the infamous Sherlock Holmes or John Watson. While scents of vanilla and tonka float around your bath, follow the adventures of Charlotte Holmes and Jamie Watson as they solve the mysterious death of another student at their Connecticut prep school. Oh, and did I mention, they’re the main suspects? 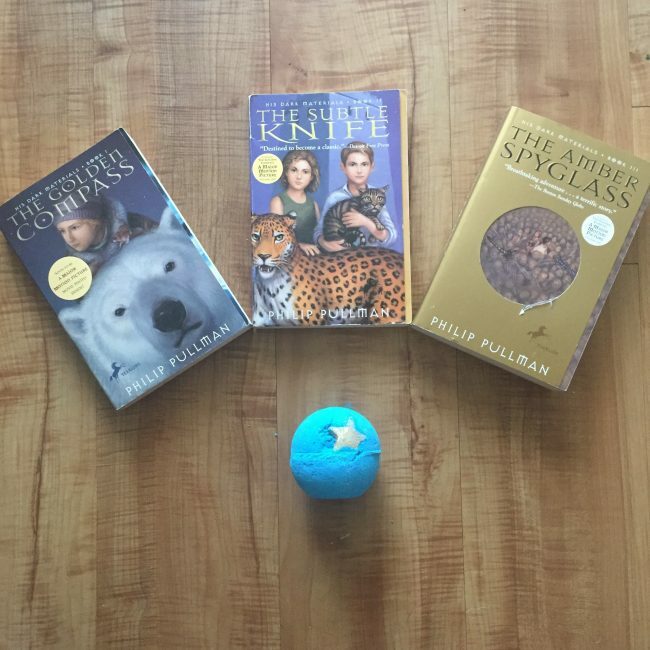 The deep blue, shimmery gold cocoa butter stars, and warm honey scents of this bath bomb make it the perfect match for Pullman’s famous series. Meet your daemon and see what secrets Lyra uncovers on her quest to save the stolen children and better understand the mysteries of the world, and the magical element dust, around her. Enjoy adventuring through spacey waters while Lyra heads north. Something about winding through Ritter’s story about a girl named Abby, brought back to her small hometown to solve a mystery that has been plaguing her for years, seems like the perfect pair with the warm and spicy scents of cinnamon, clove, and allspice. It’s hard not to attach the imagery of a bonfire to the warm red and orange waters that these two bath products produce. Can you stand the heat? 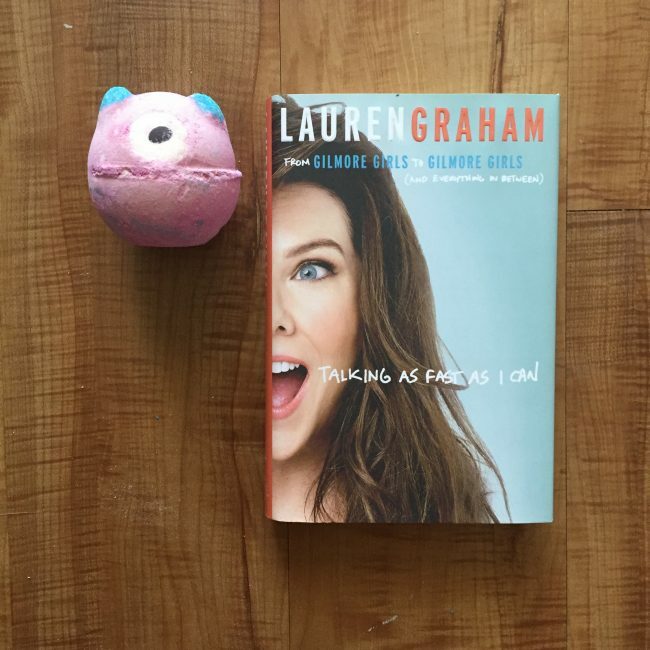 Okay, I’m going to be totally honest here, I mostly paired this bath bomb with Talking as Fast as I can because I think Lauren Graham would get a kick out of it. I mean, come on, if Graham or her Gilmore Girls character, Lorelai, walked into LUSH and saw this little cyclops bath bomb, there’s no way she wouldn’t pick it up! 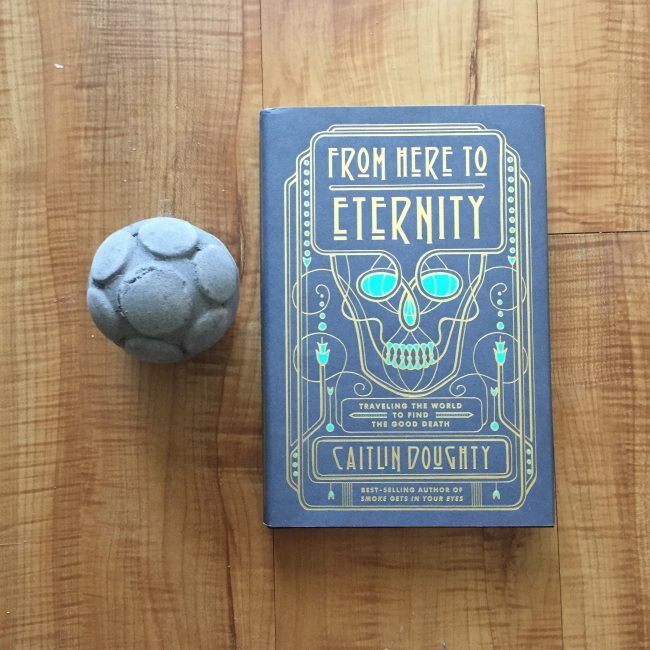 As Doughty travels across the world to discover the many ways people of different cultures care for their dead, you too can go on a deep and dark adventure. This is the all black bath bomb that everyone’s been waiting for, but with a mysterious surprise of dark seaweed jelly. Neither this book nor bath bomb are for the faint of heart. Next Post Teen Thursday: Winter is coming…maybe. Lorelai would totally pick that bath bomb! I’ve never used a bath bomb before but I really want to.